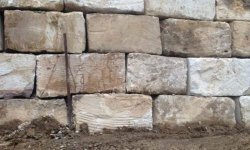 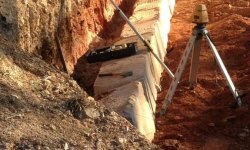 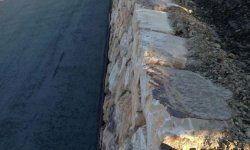 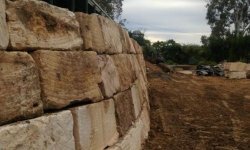 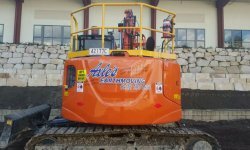 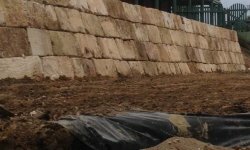 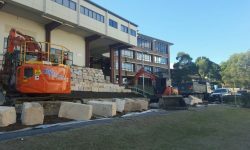 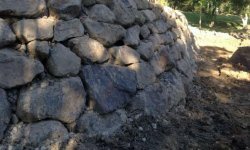 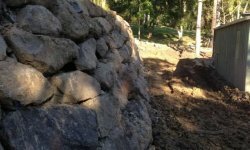 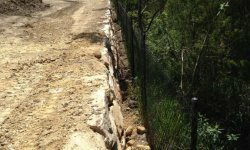 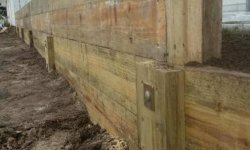 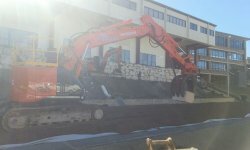 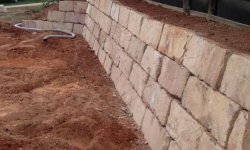 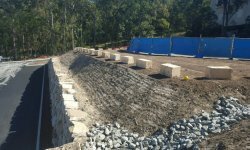 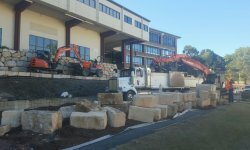 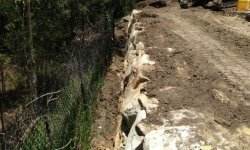 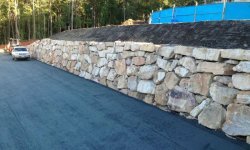 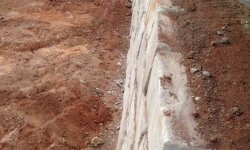 Axle’s Earthmoving & Civil Works can produce feature rock walls and retaining walls of all shapes, sizes and varying lengths to suit any job requirement. 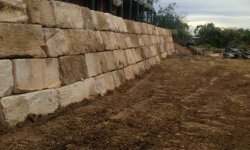 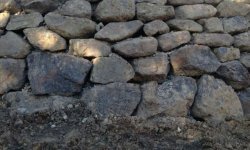 Rock walls offer a desirable natural look to compliment any home or commercial project. 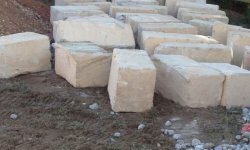 Rocks are sourced from local suppliers in all types of stone. 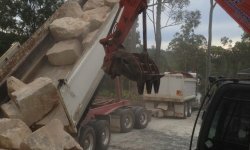 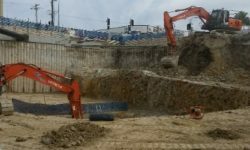 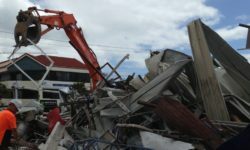 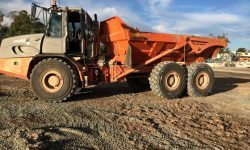 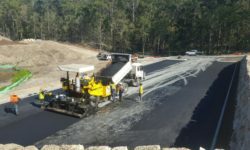 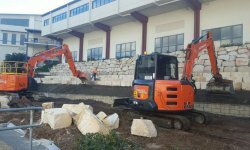 Our earthmoving machinery is fitted with attachments to assist with the efficient and professional construction, and we have the ability to move of extremely large rocks. 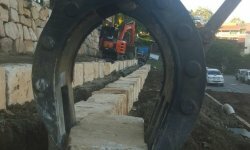 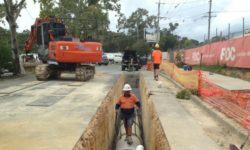 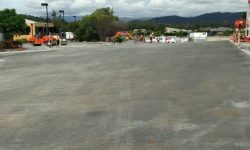 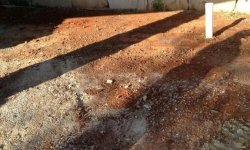 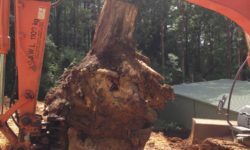 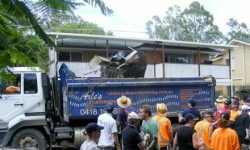 We specialise in difficult and challenging jobs other earthmoving companies would not consider.